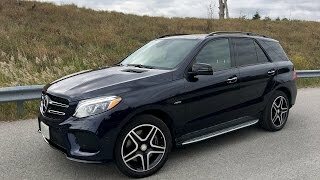 Here we have something to fit between the mainstream GLE version and lower 63 AMG trim Mercedes recently shared its Mercedes-Benz GLE450 AMG 4Matic 2016 that fits the place very well. It has better figures and is comparatively cheaper than the AMG SUV. 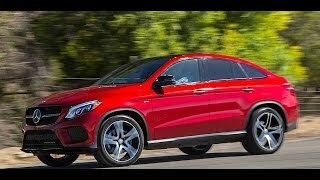 Let us have a look at the review of Mercedes Benz GLE450 AMG 4Matic 2016 to know in detail about the specifications and performance of this new model. The interior of Mercedes Benz GLE450 AMG 4Matic 2016 has some new features that will make you fall in love with it. The first in this list is the three-spoke flat-bottom multifunction steering wheel. Behind it is a new set of gauges making the instrument cluster and adding to the sportier appearance of the model. Apart from this you can also notice the aluminum and carbon fiber trim across the interior which gives the luxurious look to the model. The pedals are now brushed in stainless steel and have rubber studs for better look and grip however the upholstery remains unchanged. This I personally don’t consider a fall for the company as it wasn’t so bad to be changed. Thus rounding up the interior details of Mercedes Benz GLE450 AMG 4Matic 2016 I would just say, though less in number but changes do add to the gleam inside. The exterior of Mercedes Benz GLE450 AMG 4Matic 2016 is something that you can predict to have from an AMG. The model rolls over new 20-inch wheels and leaves the glorious entity with those dual twin-tipped exhaust pipes mounted on the rear bumper. Not only this the ground clearance of the model changes with the change in speed and driving mode; thanks to the new air suspension that make this possible and there is also a manual control for lowering or extending the height of the model. 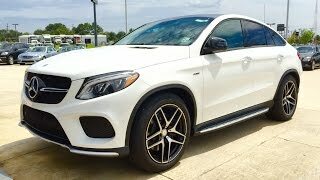 Again before ending up with the exterior details of the Mercedes Benz GLE450 AMG 4Matic 2016 I would just say, though less in number but changes integrated are worth the attention and penny. Beneath the hood of Mercedes Benz GLE450 AMG 4Matic 2016 is a 3.0 liter V6 biturbo charging engine cranking total output of 367 hp and peak torque of 520 nm paired to 9G-Tronic nine-speed automatic transmission delivering power to all four wheels. 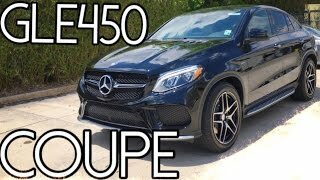 With this power the top speed of Mercedes Benz GLE450 AMG 4Matic 2016 can touch the mark of 155 mph while the 0-62 mph sprint can be knocked in just 5.7 seconds.